My kids love when we have hot dogs for dinner. This makes for such an easy dinner for me. What is your favorite thing to serve with hot dogs? 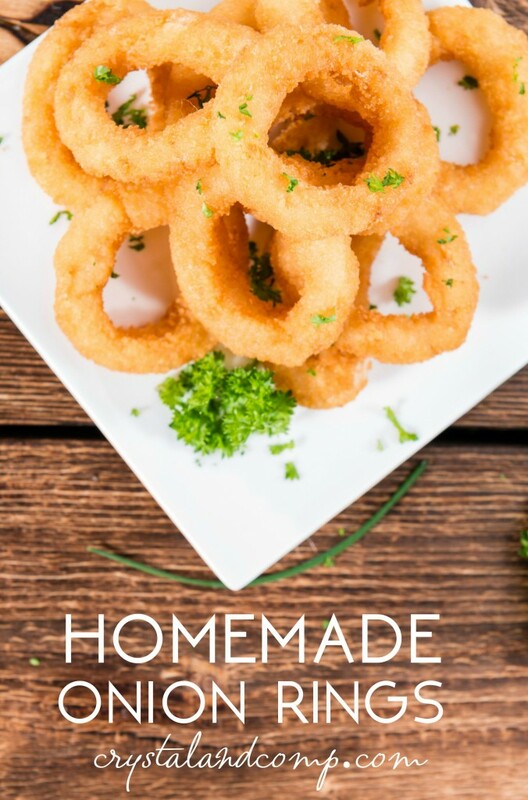 Have you ever made homemade onion rings? These are so easy to make. 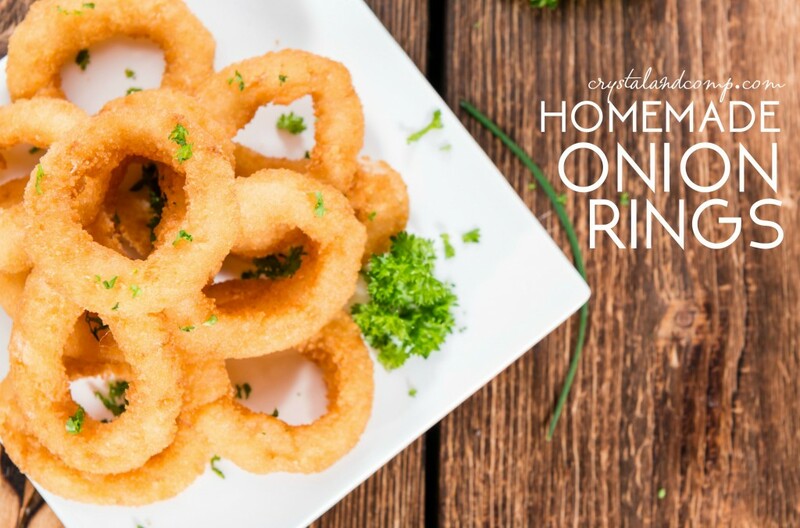 If you love onion rings once you make these you are going to be left wondering why you’ve never made them at home before now. Slice the large onion and then separate it into rings. Use a skillet and over medium high heat melt the coconut oil. In a medium bowl add the buttermilk, water and egg and beat with a fork. In another bowl add the flour, baking powder and salt. One at a time, dip the rings into the buttermilk mixture and then dip them in the flour mixture. Repeat once more with each ring, in the buttermilk mixture and then in the flour mixture. Pour the breadcrumbs on a plate. Dip the coated onion rings in the breadcrumbs. Place each ring into the skillet of oil. There should be enough oil in the skillet to deep fry them. Cook for 3 minutes or until golden. Flip halfway through if you need to. I like to place them on a plate that is covered in paper towels when I remove them from the grease. This helps to drain the grease off of them. Serve these with your favorite hot dog! Add the onion rings for a delicious dinner! How often do you add hot dogs to your meal plan? These are perfect for a busy school year. We love Ball Park Park’s Finest. They are made with 100 percent beef and contain no artificial preservatives, no artificial flavors, colors or fillers, and no nitrates or nitrites added. This make me so happy as a mom!